If you've researched mortgages for funding your upcoming home purchase, you may have come across the terms “pre-qualification” and “pre-approval.” These terms may sound similar, but they are two entirely different things. Read on to learn the difference. Both terms refer to determining how much mortgage funding you can expect to get before you make an offer on a home. Many sellers won’t consider offers from buyers who aren’t already pre-qualified or pre-approved. Prequalification is the lender’s opinion about whether or not you’ll qualify for a loan along with their estimate of the amount you’ll qualify for. This opinion is often provided as a letter or certificate --but this does not make it contractual. The lender is not guaranteeing the loan approval or loan amount. If he or she says you’ll qualify for one of the lowest mortgage rates, that's great, but remember this is just an opinion. Pre-qualification is a helpful and many Realtors and sellers will take you much more seriously if you have a preliminary loan estimate, but this is just a first step, and it has a critical flaw. The flaw is that the lender bases their opinion on information provided by you, the borrower. Your information is not verified, not even your credit score. In this way, pre-qualification isn’t much more than a hypothetical example. Pre-approval is similar to pre-qualification, except the information is verified. The lender checks all the information provided as though you are applying for the loan already. Credit scores are reviewed, your employment history is checked, and so on. The lender then issues a certificate that promises the loan. Technically, a pre-approval doesn’t guarantee that you’ll get the loan with the rate and terms disclosed. 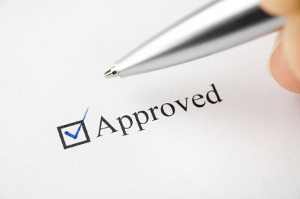 Every pre-approval certificate has certain disclaimers attached such as a change in employment or credit score. Also, the home must appraise at a fair amount with market interest rates remaining mostly unchanged. However, beyond these disclaimers, a pre-approval certificate will likely convince the seller that you’re ready to buy. Our advice is that you don’t waste time with pre-qualification. Skip right to pre-approval.